Have you noticed how the information we consume, has shifted dramatically over the past ten years? It all started with the rise of reality TV, when we all remember being glued on TV to see what Big Brother was about. We have since been introduced to one reality show after another and ‘real life’ characters, took over the flashy soap operas with the bigger than life characters. 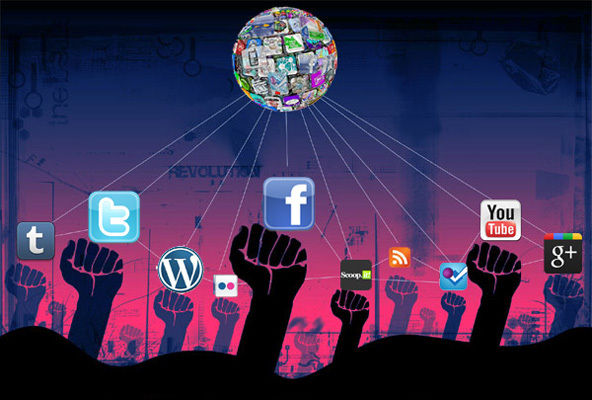 And then came the rise of online communities and social media. Facebook, Twitter, LinkedIn, Flickr, Blogs, Forums….and the rest is history. Word of mouth today moves with lighting speed. What all these new media are doing, is feeding people’s need for transparency and authenticity. People today want the truth, even if its ugly. Sugar coating, pretense and phony posing is no longer acceptable. It doesn’t matter how much effort you put into portraying you are something else that the real you – being authentic is what really matters. Those who realize this and take certain actions, will succeed more than anyone else in this new environment. As a popular new saying jokingly has it: ‘what happens in Vegas stays on Facebook, Twitter, Linked In, Blogs, Flickr etc’. Ask Prince Harry and the British Royal Family, they can’t deny! Michael Drew, marketing legend and co-author of the new groundbreaking book Pendulum – How Past Generations Shape our Present and Predict our Future, says that ‘Technology is re-writing the rules of commerce. Online chat rooms, blogs, social media and instant messaging, are ensuring that whether good or bad, the word gets out’ . In Pendulum, explains why this is the result of a ‘We Cycle’ we are in and how society shifts every 40 years from a ‘We Cycle’ when everything is about community, helping others and making the world a better place, to a ‘Me Cycle’ where everything is about standing out and the power of the individual. When it comes to social media and their role in this new environment, according to Erik Qualman author of Socialnomics: How Social Media Transforms the Way We Live and Do Business, ‘We don’t have a choice on whether to do social media today, the questions is how well we do it’. What’s more, marketing strategies that used to work very well until up to 2-3 years ago, are becoming obsolete today, due to all the new platforms people are interacting on. According to Pendulum ‘Recent studies have shown that only 14% of people believe in advertising. We are moving into an Era of transparency, in which it will become harder than ever to win new customers through P.R. and Advertising alone. You have to begin to deliver all that you promise in your marketing material. Claims of ‘biggest’ and ‘best’ will mean nothing when customers have friends who are telling them otherwise’. So how do you succeed in today’s ‘transparent’ society? 5. Remember that today’s customers aren’t just buying what you sell, they are buying who you are and what your values are. As a business, focus on building relationships and communicating your values. 6. Engage in real, raw and relevant conversations and listen to feedback from your audience. 7. Make sure you deliver what you promise without making big claims. Build quality. This blog post has been inspired by the new book and training program Pendulum by globally renowned marketers Roy. H Williams & Michael R. Drew, which I highly recommend as a must-read to anyone who owns a business or is in marketing. Pendulum describes with documented examples how society shifts every 40 years, from a ‘Me’ Cycle, where the value is placed on self-expression and the power of the individual, to a ‘We’ Cycle, where it’s all about community and collaboration. According to the research findings going back thousands of years, we are now going through a ‘We’ cycle and we long for transparency, authenticity, being true and honest, sharing values and collaborating for a better future, hence the popularity of Facebook and other social media. Hi Pavlina! Thanks so much for the mention of the book. Since I’ve been around Pendulum for 3 years it’s certainly interesting to watch how it shows up all over the place. It’s really nice to see you talking about it and hopefully you found some value from the book and other trainings with Pendulum. Let me know how we can help you out in any way.